I really don’t know what to say today. I feel like my words are empty. I have no words. I really just want to extend my love to those all over the world who have suffered these past few days. It’s been a rough few days. This week’s photo challenge is “The Sign Says.” I have to deeply apologize for my dark and twisted sense of humor (I do warn you, though, on my About page). 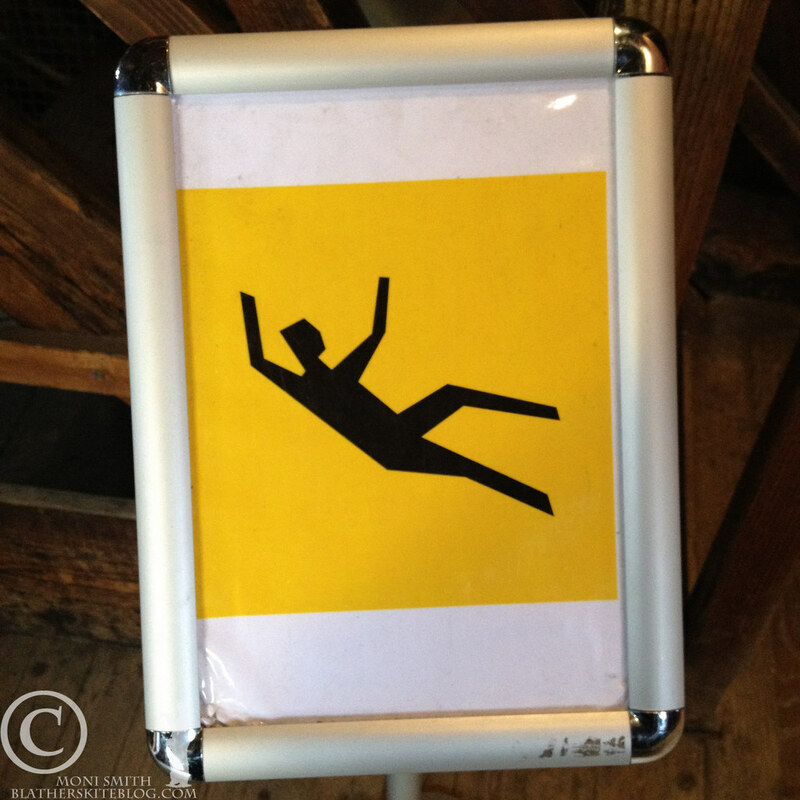 I am a fan of stick figures in peril. In fact, when I find a good one I will contribute to the Stick Figures In Peril Flickr group. This was an interesting one I saw in Paris on top of Norte Dame. I believe the message is (as I interpreted it): “Climbing the rickety stairs to the bell could cause you to fall to your death.” And, indeed, it prevented me from climbing the stairs to the bell. 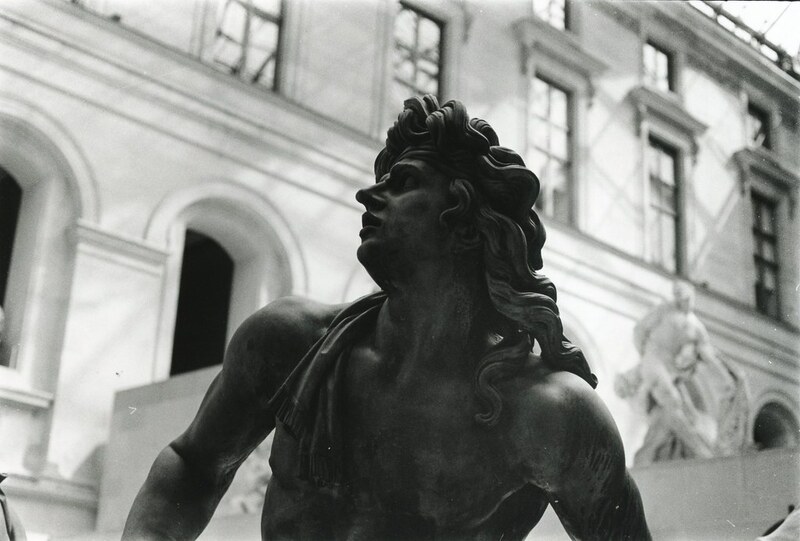 When I visited Paris in September I decided to bring four rolls of Kodak Tri-x with me – one roll for each day. I am not sure what made me decide to bring black and white film of all things, but I am really glad I did. I knew I was going to take my darkroom class eventually and in the back of my mind I decided that I wanted to develop this film myself. So I stuck it my desk drawer until this past March. It was a delight to develop this film after having visited several months ago. It was fun to relive the memories of being there! I’ve also been printing many of the prints which has also been fun. The last time I was in the darkroom the other person in there was also printing something from when he visited Paris. It was really cool to compare stories. We packed a lot of learning into my class Monday night. After we were shown how to use contrast filters, and after we tried it, we were taught how to dodge and burn. I had the perfect image to try this on. 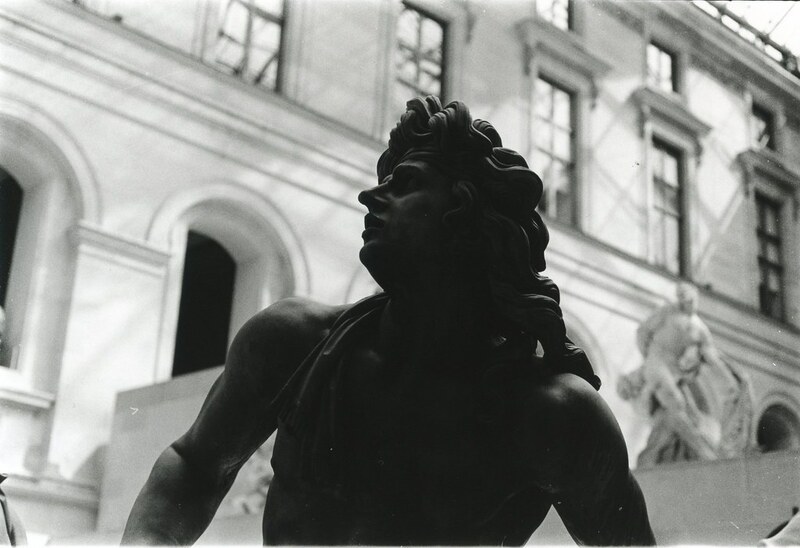 I took this photo of a statue in the Louvre and since it was lighted from behind it was silhouetted. I love how low-tech this process is. She simply used her hand to dodge. Or if you can’t use your hand you use one of the handy “tools” which is a small piece of cardboard duck-taped to a wire hanger. That is what I had to use because of where my statue is situated in the photo and because I put the negative in the carrier upside down. A quick wave over of the statue and, voilà, more information is revealed. Magic. It will be fun to use this more in the future and, hopefully perfect it. I don’t understand a lot of this at the moment, logically. I feel like I am feeling around in the dark (Actually, that is exactly what I am doing. No metaphor there at all). Hopefully it will feel more natural to me in the near future with practice. Next week we are learning about photo manipulation. I am not sure, exactly, what that means but I can’t wait to find out!